Criminal and juvenile justice in the United States look vastly different than they did a decade ago. Years of declining crime rates, new bail and sentencing options, and evidence-based alternatives for juveniles and adults are just a few of the trends changing the face of the justice systems. At the same time, public support has increased for making punishments more equitable, improving prison and jail conditions, and providing people with supports to improve their lives. Yet the nation still faces challenges in addressing safety and security within prisons and jails, reducing racial disparities at each point of contact with the justice system, and identifying and scaling up effective programs. Read a new fact sheet detailing Mathematica’s approach to helping our clients on their journey from inquiry to insight through data, analytics, evaluation, and evidence-based technical assistance. We find new ways to listen to what the evidence tells us so we can put our clients on the path to progress to achieve positive change. Transforming juvenile probation. Researcher Johanna Lacoe blogs about our work to help the Annie E. Casey Foundation strengthen its approach to transforming juvenile probation. That approach calls for juvenile probation to promote personal growth, behavior change, and long-term success for youth who pose a significant risk for serious offending. Achieving this requires that we divert far more youth away from probation to community resources and that we transform probation into a more focused and effective intervention. Developing a data-driven, comprehensive plan for change. California has the highest child poverty rate in the United States, with one in five children affected. Child poverty costs our country’s economy more than $500 billion annually in lost productivity, increased health care costs, and higher criminal justice expenditures. Many youth in the juvenile justice system face economic hardship at home, making their successful reentry into school and work even more challenging. We work with End Child Poverty in California to support a state-appointed task force as it navigates a complex set of policy issues and develops a plan to reduce deep poverty among children as well as the overall child poverty rate in the state. Our experts are conducting background research on topics including juvenile justice, synthesizing information from a panel of experts, and writing a report to meet the requirements of state legislation and to provide thoughtful counsel on reducing child poverty. Colorado’s expansion of reentry services built new connections between prison, parole, and the community. Targeting reentry services to the people who need them the most is key to efficient and effective services. Identifying people with the highest risk of recidivism is a complex challenge. Modernizing data systems is a strategic priority for improving service delivery. The research team is also currently in the process of examining multiple sources of internal data to learn how the “high-risk, high-needs population” is identified and targeted for services in different settings within DOC. This second phase of work will support the identification of priority focus areas in terms of systems alignment for the incoming DOC leadership. 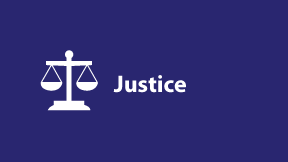 Read more about our work to help clients on the journey from inquiry to insight on effective justice programs. Mathematica is designing and conducting an evaluation to build evidence about effective strategies and approaches being implemented as part of the REO grant program. Following implementation of reforms passed by the Colorado General Assembly in 2014, the Colorado Department of Corrections, in partnering with the Colorado Evaluation and Action Lab and Mathematica, has conducted a study to examine current implementation of state-level reentry services. 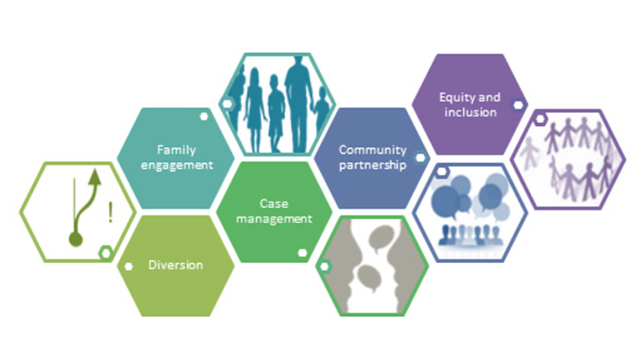 Mathematica’s approach to research and evaluation in the justice area leverages innovative methods and cross-cutting expertise to provide actionable information about the effectiveness of justice system interventions.